Small-to-medium businesses, however, need not fret. 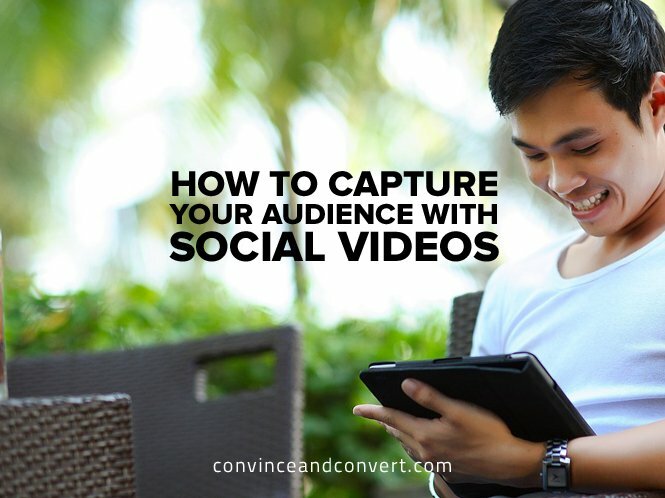 There are cheaper alternatives to TV and radio ads in the form of social videos. These may actually be better than more traditional options because they focus on a smaller yet more appropriate demographic. It’s like applying icing on a cake: The small focal point of an icing bag makes it controllable and suitable for detailing, while the icing spatula is for covering the whole cake with the sweet stuff. In addition, social videos don’t necessarily advertise but instead make a company relatable in terms of vision, services, and mission. In fact, as of 2015, 70 percent of brands large and small use videos to spread their word effectively. Here lies the hidden power of a good video: It grabs attention, engages the consumer, and helps them retain the information, especially when the target audience fully relates to it. The whole video tugs at your heartstrings when the father finishes reading his daughter’s loving letter and, in tears, embraces her. The daughter witnesses how her father had worked all these jobs just so she could have a good life. All the hardships—the fatigue, injuries, and tough days—become worthwhile when he reads his daughter’s “I love Daddy” note. In the end, the heart-warming message is that through the father’s hard work, he knows that his daughter’s dreams, aspirations, and future are in good hands. In just three minutes and twenty-six seconds, MetLife was able to deliver a tear-jerking tale while making the video relatable to parents—the assumed primary target for this specific campaign. This highlights the importance of how a video can do more than just be entertaining. Like the MetLife video, any small-to-medium business can create similar content and deliver their own message to a specific audience. Videos have been a growing trend since the advent of social media and the improving capabilities of social networking sites. When Facebook began, it was limited to pictures and status updates and evolved into a medium that can upload and share videos. Now, videos of cute pets, hilarious fails, impersonations, etc., can fill up anyone’s Facebook timeline. Everyone can now watch videos on any social networking site. This was unheard of before because of slow Internet speed, back when loading a three-minute video in YouTube would take ten minutes. Now, downloading a whole gigabyte takes mere seconds. This accessibility is a benefit of technology—so what’s stopping a business from reaping its benefits? Nothing. The question now is how to do just that. One way is to establish personal connections. Like the MetLife video, appealing to the emotions of the target audience ensures that they have something to relate to in a video, making it easier to build a connection. When they see a hardship or situation, the more they think, “I’ve been there. I know this. I understand that feeling,” the more empathy they create. This concrete feeling of mutual understanding helps bridge an audience to a company through a video’s message. Another tactic is to have a vested interest in the social part of things. This means gearing a video toward something that makes a viewer feel good, almost always with a positive message. The MetLife example asserts unconditional love; other themes might include humor and wit. Things could take a more serious tone, but a happy ending will always leave the viewer elated. That is the goal. The better a viewer feels after watching a video, the more that viewer will share it to everyone. One thing to avoid is over-branding. The more a video is peppered with one’s own company name, the more viewers are likely to see it as advertising, creating that white-noise shield that limits the connectivity and relatability a good video should achieve. When a video gives off a proper feeling, the viewers will see that what they are watching is about them and for them, not about the company. This maximizes the connection. The stronger the connection is, the better the chances of sharing the video. That is the important thing here: Make that connection the spark that ignites the fire, which in turn spreads outward. When people relate to a video, they can’t help but look for other people who can also relate to what they’ve watched. They look for people who feel the same kind of empathy toward the video and each other, an emotional connection from one viewer to another. When they share, then others who have seen the video will share it, too. It’s how humans are as social beings. It’s how humans are as a community. It’s how humans are as humans. So… how will you make your next video?